U.S. Air Force. From Francillon (1979). Dimensions 47'7" by 37'1" by 24'3"
Power plant One 1000 hp (746 kW) Mitsubishi Kinsei 43 14-cylinder air-cooled radial engine driving a three-blade metal propeller. 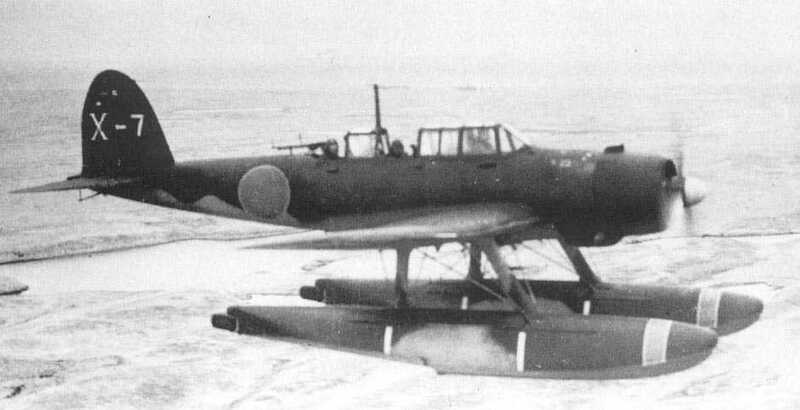 Also known as the Type 0 Reconnaissance Seaplane, "Jake" was the replacement for the E7K "Alf" and was the most numerous float plane produced by the Japanese. Though lightly armed and unarmored, its long endurance suited its role as a patrol reconnaissance and transport aircraft. It was used in bombing missions when no enemy fighter opposition was expected, as over China early in the war. The design was a response to a June 1937 call for a two-seat replacement for the Alf. 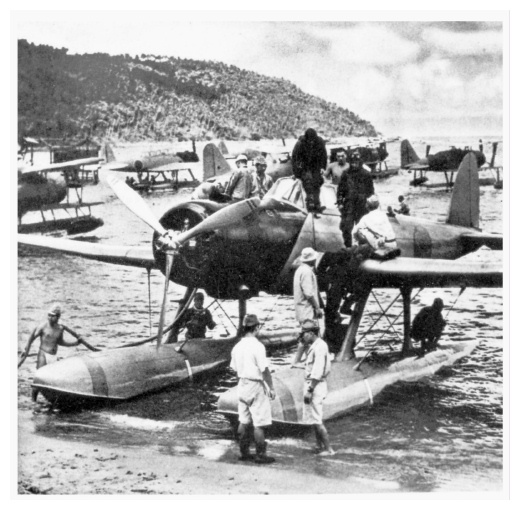 Aichi, Nakajima and Kawanishi all responded to the initial call, but when the Navy issued a new specification for a three-seat reconnaissance seaplane, Kawanishi decided to concentrate on completing its two-seat design instead. 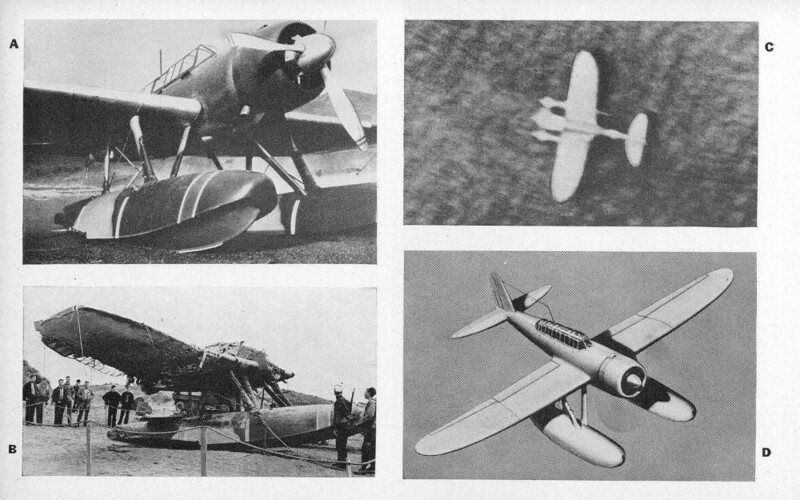 Aichi finished a prototype three-seater in late 1938 that proved superior to the Nakajima model, being faster, steadier, and more maneuverable, though also larger and heavier. 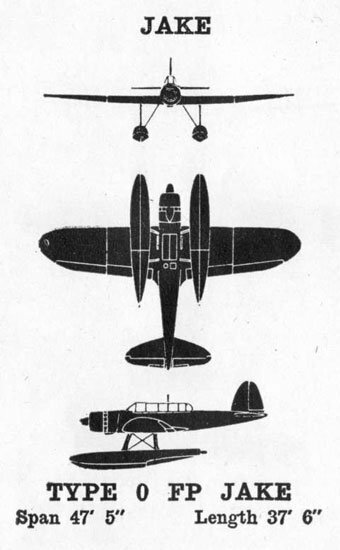 By then the Navy had lost interest in the two-seat designs, and "Jake" went into production in December 1940. It saw its combat debut in late 1941 over the Canton-Hankow Railway in China and scouted for the Pearl Harbor Attack Force. Towards the end of the war, "Jake" was armed with a downward-firing 20mm Type 99 Model 1 cannon for use against PT boats. It also was sometimes equipped with Type 6 radar or with the Jikitanchiki magnetic anomaly detector for use against submarines. 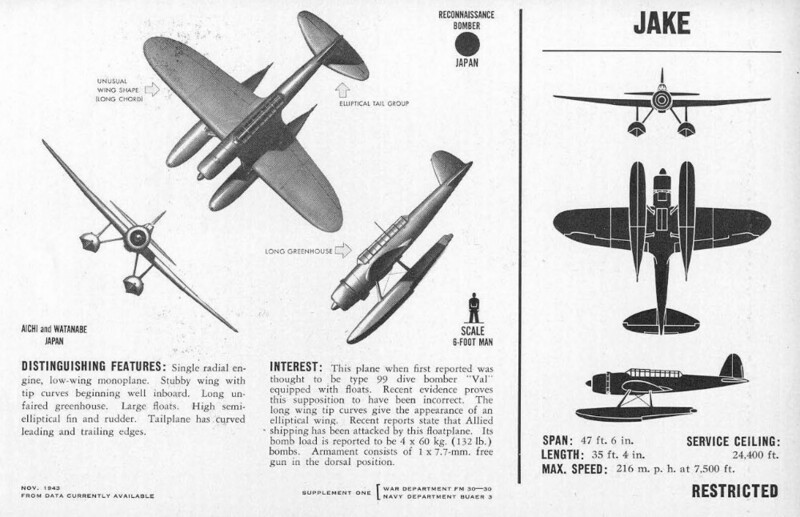 The Jikitanchiki was not very sensitive, requiring the plane to fly no more than 40 feet above the surface.